Here is an excellent infographic from iContact with a good deal of information about effectively marketing real estate that goes well beyond yard signs. The real estate marketing infographic covers email marketing (which I have yet to do), video marketing using YouTube, social media marketing and marketing using virtual tours effectively. Since DallasUrbanBlog focuses so heavily on real estate, especially from the professional's perspective, I thought this infographic was perfect for our readers. Overseas property insurance company, Insure My Villa, have just released a new infographic detailing the behavior of Brits buying property abroad. According to the Infographic, apparently 58% of people who move away from the UK do so in search of a better salary! (Maybe I should ask for more!) But it also seems that people who leave the UK do miss the sense of humor, good old fashioned British pubs and the English countryside. What do you think to these stats? Would you agree with the top 10 countries? And have you ever thought of moving abroad? This is the first time we have experienced the current combination of low interest rates, high unemployment, and a glut of inventory hiding in the shadow. The housing market in the United States is in a constant state of flux. Volatility is the norm and the rules of yesterday’s market no longer apply. The Mid-Cities Report provides a glimpse into real estate market trends for mid-sized US markets not commonly reported in the media. This month prices increased in 14 of the 20 markets, and inventory increased in 12 of the 20 markets. The list of markets with price and inventory increases has been in flux for the past three months. Our Altos 20-City Composite National Report showed signs of a slowing market a few weeks ago. The summer price bump is over and both prices and inventory are declining at the seven-day level. The next few weeks will set the stage for a long, cold winter. There’s nothing on the immediate horizon with employment or the economy that suggests a spike in fall or winter housing market activity. Traditionally, inventory begins declining in the fall and reaches a seasonal low in January. The current inventory trend shows evidence of the seasonal inventory shift. The median price was $256,120 in July, up $7 from $256,113 in June. For comparison, the Altos national composite median price was down 0.16% in July, from $450,894 to $450,176. The leaders in the three-month price increases are Boulder (8.23%), San Antonio (4.43%), and Boise (3.11%). Only two markets had decreasing prices over three months. Naples (-2.73%) and Dover (-1.25%). Boulder had the largest one-month increase in median price, with a 3.67% increase. The largest one-month increase in inventory was Boulder, with a 3.26% increase. The largest one-month decrease in inventory was Naples, with a 5.32% decrease. Naples also had the largest three-month decrease in inventory (-10.95%). Eight of the 20 markets reported a decrease in inventory and six of the 20 markets reported a decrease in median prices. shifting market and should be watched closely. Austin Texas (May 20, 2011) The Texas unemployment rate dropped for the third consecutive month to 8.0 percent in April as another 32,900 nonfarm jobs were added, the state employment agency said Friday. 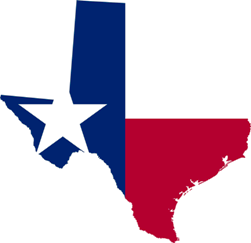 Jobs grew for the seventh consecutive month, and Texas has added more than 86,000 positions since the start of the year, according to Texas Workforce Commission figures. We published our first blog two years ago in November. Those in the know insisted I had to have a blog in order to boost the search engine rankings of my website. As a home builder, I elected housing and real estate as the subjects of that first blog. I started the Dallas Urban Blog on Google's Blogger Platform and was blogging. I soon decided I liked the presentation of WordPress Blogs more than I did Blogger, so I started the Lexington Blog on WordPress. There has been precious little good news in America during the last two years. While this isn't necessarily good news for everyone, it certainly is for the Lone Star State. The US Census Bureau has announced the US Population results from the 2010 Census and, along with the US population by state, the Census Bureau also announced the resultant shift in both Congressional seats and Electoral College votes due to migration of the US population. The December housing market begins with a continuation of seasonal price and inventory declines, with asking prices down by 0.45% and active inventory down by 3.16%. The Altos 10-City Price Composite continued its seasonal decline in November with prices down 0.45%. Expect weekly declines in price, inventory and demand through the end of the year. Watch the third week of January before the first inklings of seasonal demand uptick become visible. There has been more media coverage of this election than any other mid-term election in my life. For the last several months, election coverage has increased daily, reaching overwhelming levels. Being a political news addict, I've absorbed most of it, much to the consternation of my beautiful wife. But, it occurred to me the other day, that virtually all news coverage has focused on House and Senate races. Races for governorships and state legislatures going largely ignored. After nine consecutive monthly declines, the Altos Research 10-City Composite Index posted its first positive reading in May 2010. Remaining positive, however, proved to be unsustainable, as the Index retreated to a flat reading in June. Dallas Website Designer. Copyright © 2014. Powered by Blogger.